While you're waiting, have a look below! It happened to us all; at some point every one of us has either had a flat tire, dead car battery, keys locked inside the car or just any other breakdown which requires towing. At TOW SQUAD we have been in your shoes, and we know how it feels to be stranded helplessly on the side of the road. Wetather you need towing, change a flat tire, jump start a battery, unlock your car, winch out your vehicle from a ditch or snow we do it all. TOW SQUAD serves all type of vehicles starting with light duty towing, medium duty towing, heavy duty towing and we even tow motorcycles. You can rely on getting TOW SQUAD for your rescue 24 hours a day and under any weather condition. We’ve been through it all. The Zip Code seems to not have been submitted. Close this window and try again! Please correct the Zip Code you entered and try again. Also, if entering the Zip Code + Extended Zip make sure to include the hyphen (-) between the two. There's been an unknown error. Please try again. If the problem persists, contact us for further information. Tow Squad is a leading roadside assistance and towing provider for 24/7 immediate local assistance. Helping stranded motorists day and night under any weather condition is our mission and we must do that quick, “we have been in your shoes” is what we say and act by. Our number one goal is to provide fast, secure and affordable roadside assistance and towing services to any stranded motorist wherever he or she may be. 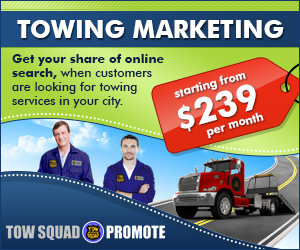 Why TOW SQUAD For Roadside Assistance & Towing? Not sure what your vehicle may need in order get back on the road? Let a Tow Squad expert agent help you understand exactly what what’s needed. 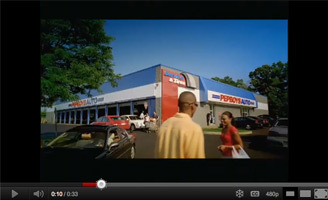 Roadside assistance service may be done faster than getting towed to a shop. Solving a breakdown by one of our roadside assistance services rather than towing your vehicle to a shop may reduce your cost. Tow Squad’s agents are highly trained to deal with any roadside assistance or towing scenario. 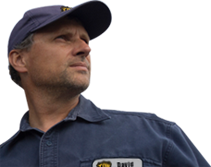 Few simple questions will help our agent identify the issue with your vehicle and assign the right tow truck or service unit to your location. Determining whether it’s a battery jump start or a tow is easy. Serving you by the “We’ve been in your shoes” approach, knowing how it feels to be stranded on the side of the road. Our large national network of local drivers get you back on the road in no time. 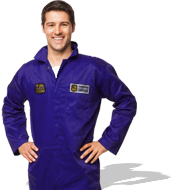 Licensed and insured technicians get the job done right the first time. Join FREE Join the Tow Squad Team, its FREE! Join NOW! Rollover the map to find a local service provider. No motorist should “hit the road” without a number they can call in case of a roadside emergency. Save 877 – TOW SQUAD in your phone right now, and you can have peace of mind that if something does come up, we’re always here to help you. With our nationwide network of Professional, Licensed, and Insured Service Providers, you’ve got the safety net you need, even if you’re out of town.